Organization is almost an art form—and let's face it—not everyone's an artist. 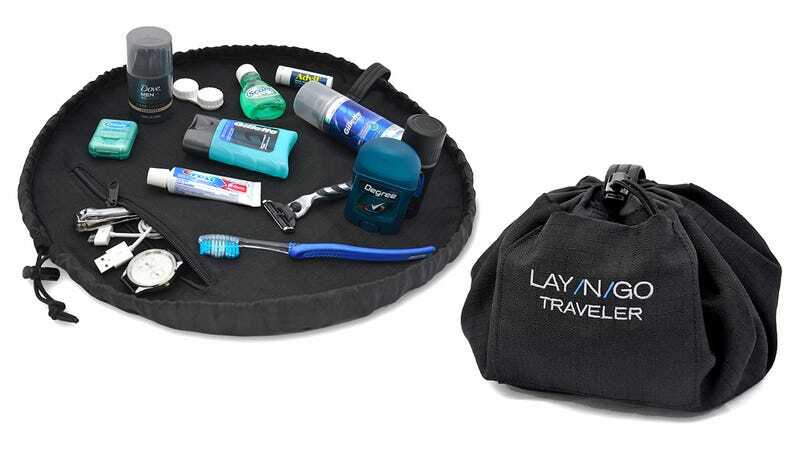 If your suitcase and toiletry bag tend to slowly (or quickly) devolve into a homogenous nest of clothing and travel accoutrements, you'll appreciate what the Lay-n-Go has to offer. Specifically: an easy way to keep your toiletries separate without having to reorganize them when it's time to go. You may be asking yourself why you'd need to spend $30 on this case when a discarded plastic bag appears to offer similar functionality. Well, appearances can be deceiving. With a plastic bag you're forced to reach inside and blindly dig around until you find your deodorant or toothbrush, but the Lay-n-Go opens and spreads out into a clean and dry surface for your toiletries to hang out, making everything easy to find.